For the last 20 years, Kristian Nairn has been one of Ireland’s most prolific resident house DJs. He has remixed tracks for the Freemasons, Madison Avenue and Duke to name but a few, and has played alongside some of the best in the business, such as Steve Aoki, Dimitri Vegas and Like Mike, Fatboy Slim, Danny Howard and many more. Kristian has played at venues all over the world including international superclubs Amnesia, Cafe Mambo and Hakkasan. He has also played at some of the biggest dance festivals, including Tomorrowland in Belgium, Untold Festival in Romania and Sunburn Festival in India. A video of Kristian’s set at Cafe Mambo in 2017 went viral across all the major social media platforms to over 84.7 million people in 72 hours. 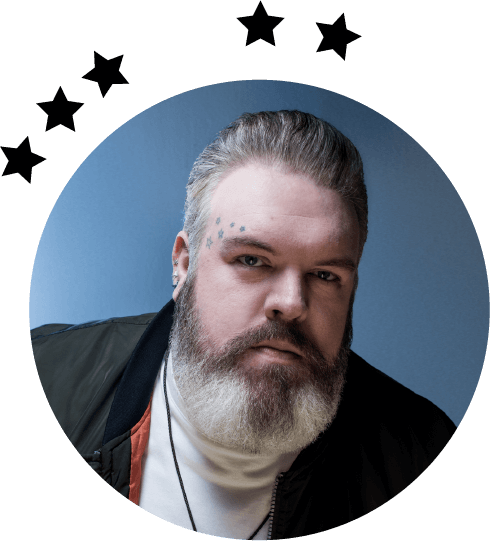 As well as his musical talent, he is famous for his role as the much loved character ‘Hodor’ in HBO’s juggernaut series Game of Thrones, which has obtained an exceptionally broad and active international fan base. It received widespread acclaim by critics, and the series has won numerous awards and nominations including two Primetime Emmy Award nominations for Outstanding Drama Series and a Golden Globe Award nomination for Best Television Series – Drama. Kristian is currently playing his DJ sets to clubs around the world, taking his international fan base on a journey through big room vocal house and progressive EDM. Kristian also headlines his own “Rave of Thrones” club show, a fully immersive Game of Thrones clubbing experience which has toured the UK, the USA, and Australia.